An LLC generally protects its owners from personal liability for business obligations in much the same way a corporation does, but an LLC is not a corporate entity. The corporate shield is identical to a corporation. 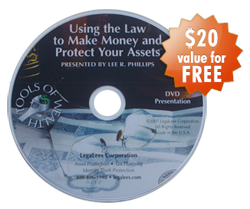 The LLC has a second type of asset protection called charging order protection that a corporation does not have. This aspect of an LLC was derived from partnership law. Like a corporation, an LLC can do business in multiple states, although an LLC must be organized in a specific state. It also has to register in each state where it does business. The owners of an LLC are called “members.” There is no limit on the number of members an LLC can have. This is not true. 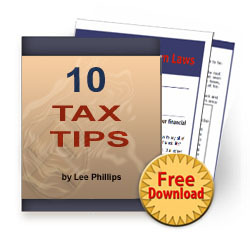 The number of members is dictated by the tax selection that is made for the LLC. If a Subchapter S election is made, the rules of Subchapter S or the IRS code govern, and there is a limit on the number of members. Members don’t necessarily have to be individuals. If there is a Subchapter S election, the members have to be resident aliens or US citizens. Members’ management roles are typically spelled out in an operating agreement. Yes, they are usually spelled out in the operating agreement. Note that the operating agreement should also spell out whether the LLC is designated as a member managed or a manager managed LLC. Upon formation of an LLC, the members contribute cash, property, or services to the LLC in exchange for LLC shares or units. The ownership currency of an LLC is known as membership interests, not shares or units. An LLC may borrow money in its own name and is responsible for repayment of the debt. I will guarantee that in a closely held LLC, the owner will sign personally on any mortgage or loan. The implication that the LLC will be responsible solely for the debt is a dream. An LLC is usually treated as a partnership for federal income-tax purposes. I have no idea what percentage of LLCs are taxed under partnership rules. I would assume the most common LLC is a sole proprietorship taxation structure, although there are many Subchapter S tax structures and even some Chapter C tax structures used by LLCs. Note that his remaining four points assume partnership treatment. Hello. I just recently formed an LLC. Can I change the name of my business? Yes, you can file an amendment to the articles of organization to change the name. Hello, I have purchased some of your products and recently formed an LLC, taxed as an S Corp, here in NV where I reside. I also formed a living revocable trust, which is 100% member of the LLC. My question is: If opening an Investment Brokerage acct, would it be better to open it in the Trust name or LLC name? I was thinking the LLC would be the way to go, so I can pay myself a reasonable wage, under S Corp code, and then the rest as a disbursement. I didn’t see how I would be able to do this putting in Trust name, as I am the Trustee, and profit/loss would just transfer to me as well, but not through LLC. Looking for the Best Tax, liability and asset protection I can get. Thank you! A brokerage account is typically passive income. Passive income is best held by the trust or an LLC taxed as a disregarded entity or partnership. S Corps are not a good tax option for passive income.